Using Salesforce almost exclusively for your work? If so, you’re not alone. Over 171,000 people attended Dreamforce last year—a conference dedicated to Salesforce training and events. With so many companies now using Salesforce as their CRM solution, almost every job function is looped into the selling process. If you’re one of the many users who use Salesforce, but not frequently enough to be a super user, don’t worry. These tips will cover some of your general questions, and hopefully get you up and running like a pro. If you’re tasked with sending out the same report each week to a set group of people, you can automate both functions. While most users know how to set-up a standard recurring report, many users don’t know that an automatic email of the report can be sent as well. If your company only deals in whole dollars, go ahead and remove the cent placeholders within your currency setting. This will help your display and reports stay nice a clean. It happens, and sooner or later you will delete something that you wish you could get back. If this happens in Salesforce, you have up to 15 days to dig it back out of the recycling bin. If you have to export data on a regular basis, use a .csv file instead of a .xml file. This tip will speed up your export. Our ActiveCRM feature allows agents to easily add notes, disposition and even create reminders/tasks. Gianni has more than 17 years of experience working in marketing, branding and technology. 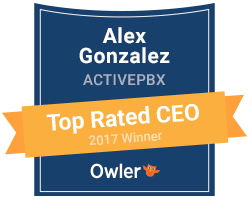 He has been with ActivePBX for more than 3 years and previously was a client.